Radio 4's Book Club (first Sunday of every month) features for May the Peruvian writer Mario Vargas Llosa, in discussion with James Naughtie about his semi-autobiographical novel Aunt Julia and the Scriptwriter (1977). Set in 1950's Lima the 19 year old Mario elopes with his 32 year old Aunt Julia. Transmission is due at 4.00pm on Sunday, 5th May, repeated the following Thursday also at 4.00pm. The Parker Romantic Novel of the Year award has been won by an historical novel about the life and loves of Anne Boleyn's sister. The Other Boleyn Girl, written by Philippa Gregory, tells the true, but little known, story of Mary, sister of King Henry VIII's wife Anne. The book beat the favourite, Joanne Harris' Five Quarters of the Orange, to the £10,000 first prize. With the plethora of modern day cookery books, it would be interesting to know how future generations of cookery book collectors will decide which particular 'chef' to follow. 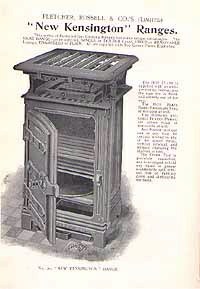 Until Victorian times, the number of cookery books was reasonably limited, and then generally only used by professional cooks. The majority of families would keep their favourite recipes in manuscript format and pass them down from one generation to the next. 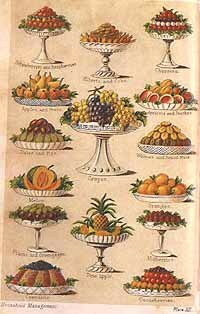 The first major breakthrough came with Isabella Beeton, the wife of a publisher and herself a journalist and made famous by her Household Management magazines - it is thought that no more than a handful of the two thousand recipes in Mrs Beeton's Household Management were actually provided by her! Isabella died at the age of 28 following the birth of her fourth child, her husband Sam sold the rights of Mrs Beeton's Household Management to Ward Lock, who reaped enormous profits through selling almost two million copies by 1868. To this day such titles as Mrs Beeton's Caribbean Cooking and Microwaving with Mrs Beeton are being published. 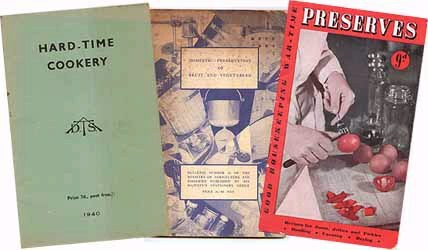 The advent of the Great War, followed by the recession and then the Second World War, meant that there was no great demand for cookery books, although the War Ministry did their best during 1939-45 to issue leaflets on how to turn acorns into coffee and convince everyone that the humble potato was very nutritious. 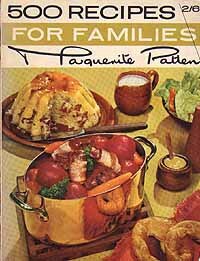 It is only since the 1960's that the supply of almost all foods have become available throughout the year, and in particular the advent of the major supermarkets during the 1980's, that made it possible for publishers of cookery books to cover every possible style of cooking. There are many 'television chef' authors to provide us with books today, but which are 'coffee table' and which are serious cookery books? 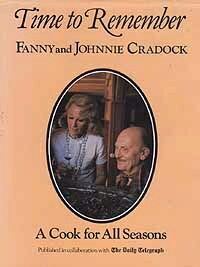 The obvious choice has to be Delia Smith for the basic recipes of everyday use, but what about Fanny Cradock and her poor henpecked partner Johnny - not the same array of recipes we would expect today, but none the less a very popular cook in the 1960's. All the writers mentioned have incorporated recipes from overseas to complete their current publications - is this an opportunity for someone to produce a modern British cookery book? The original manuscript of the famous horror novel Dracula has failed to sell at auction in New York. The 529-page document, lost for almost a century, was expected to fetch more than £1m at Christie's auction house. But the typescript, heavily amended by hand and signed by author Bram Stoker, failed to match an undisclosed minimum reserve price. A Christie's spokesperson said the house was "disappointed" by the result. The typescript is notable for bearing the author's original handwritten title for the work, The Un-Dead. Probably typed by Stoker in London between 1890 and 1897, it is the only surviving full-length manuscript of Dracula. The European Commission is bringing an anti-competition case against the world's two leading fine art auction houses. After a preliminary investigation the commission has accused Sotheby's and Christie's of breaching European Union competition rules by colluding to fix commission fees and other trading conditions. Sotheby's said the commission's statement was just the next step in an administrative investigation which had been going on for some time. The two auction houses now have the right to answer the commission's objections and to request a formal hearing.